Models reduced for April only. We need to make room in our warehouse for new stock, so take advantage of it! Water has always been the most refreshing way to clean the human body; much better and more effective than toilet paper or even a stand-alone bidet. 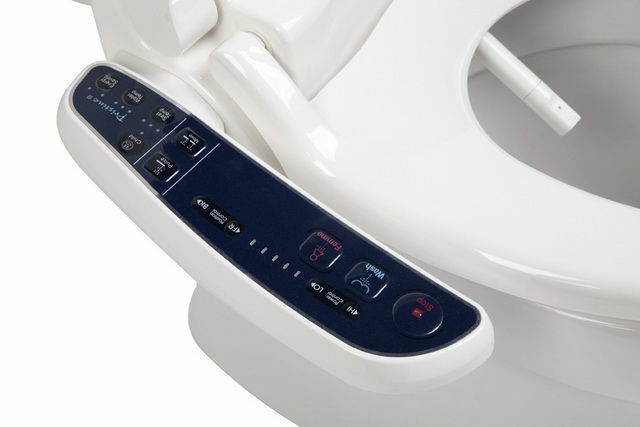 The Pristine range of bidet toilet seats give you a luxurious personal warm-water wash at the push of a button - keeping you feeling shower-fresh all day long. A PristineBidet seat quickly and easily replaces your existing toilet seat and can be installed without a plumber directly on your toilet in less than a half hour. Once you try a Pristine, you will agree, it really is a new concept of clean! The PristineBidet turns any bathroom into an oasis of luxury and hygiene. The Pristine uses nature’s most gentle and essential element, water. Purifying. Relaxing. Quite simply, a new concept of clean.